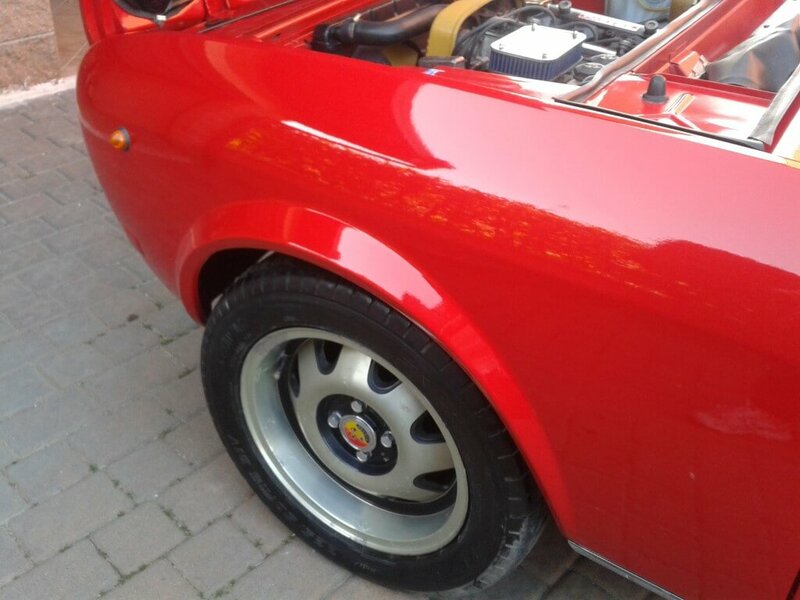 Update 07-07-2015: The Fiat 124 Coupe is back on eBay again with a Buy it Now price of £6,760. Find the new listing here. 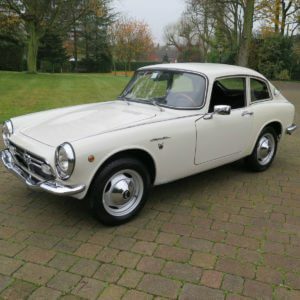 We recently featured a barn find 1974 Fiat 124 Coupe (which incidentally is still for sale) so we’ll just jump to our latest feature. 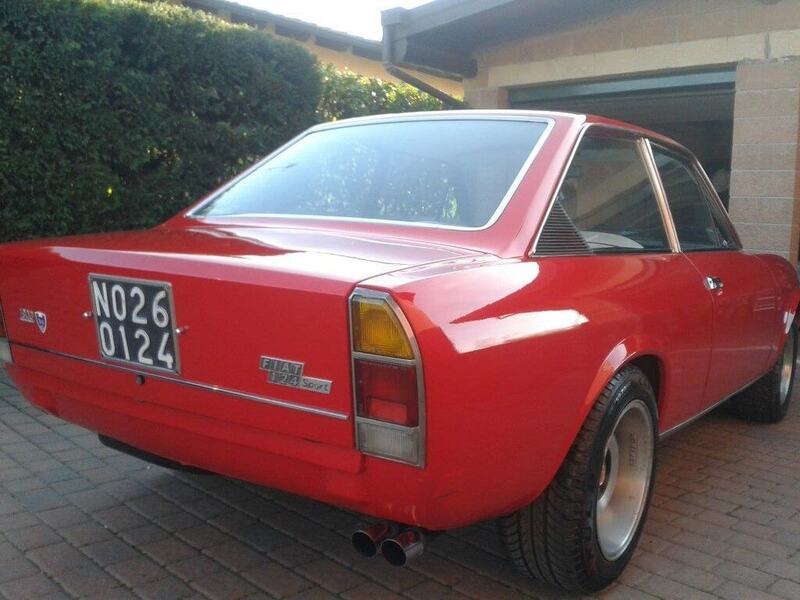 Offered for sale is a restored 1973 Fiat 124 Sport Coupe. 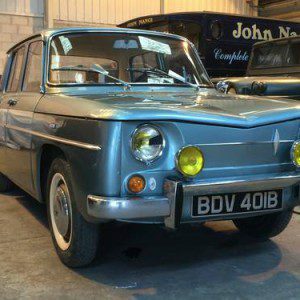 Described as being a 124 Lux model with its original matching numbers 1600cc engine, it has been subjected to a full restoration at a cost of €9000. 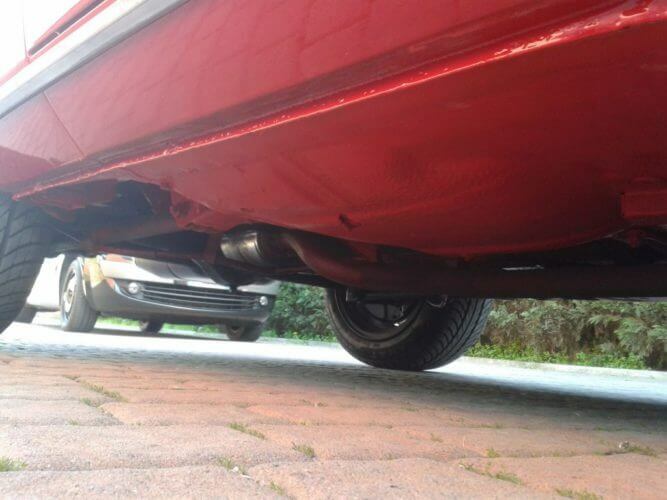 The body work has been stripped and repainted in Fiat Red with the underside receiving new paint as well. The engine has been rebuilt and repainted and the gearbox overhauled. The seller states the car has only driven 30KM since its rebuild. Other works include a rebuilt braking system, refurbished fuel tank, a brand new electrical system, electronic ignition and an electronic fuel pump. Abarth shock absorbers were also added along with a set of 15” Abarth ATS wheels which have been shod with new tyres. An Abarth exhaust system has also been added. The seller states that the car has been setup for a sporting yet comfortable drive. 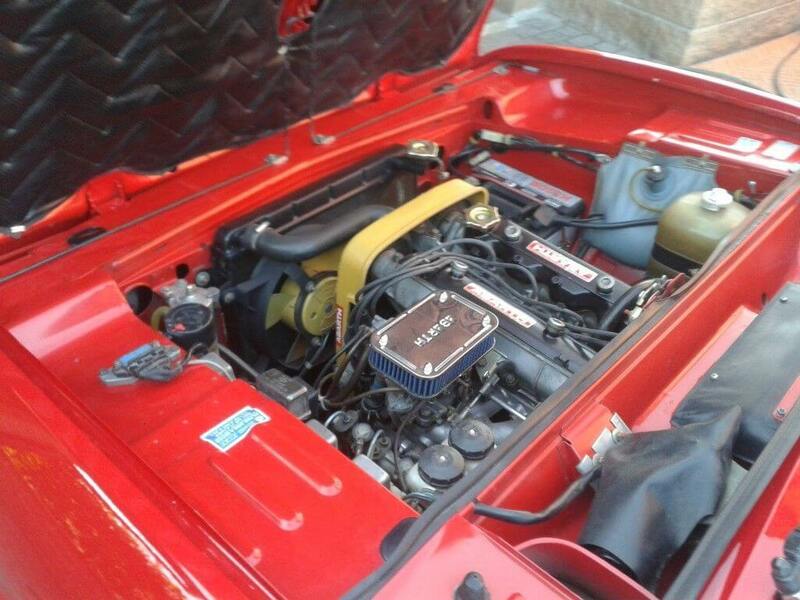 The listing also notes that the car is producing 120BHP which is pretty good for a 1600cc. 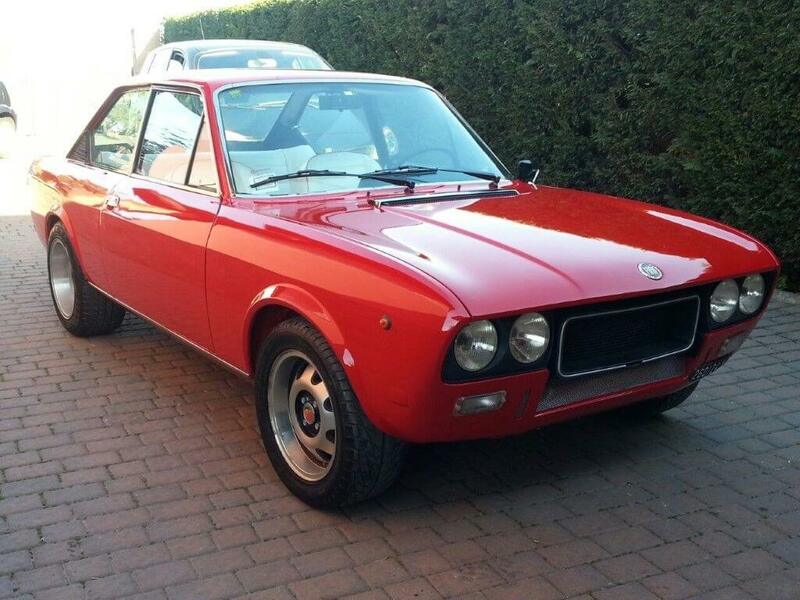 We like what the seller has done with this 124 Sport Coupe. While some will say the earlier 124 Coupe had a nicer front end, we think these look more purposeful. The new alloys look good from behind. And they really suit the car. Nice clean and fresh underneath. And a nice clean and fresh engine bay. The engine bay quilt is a nice touch. 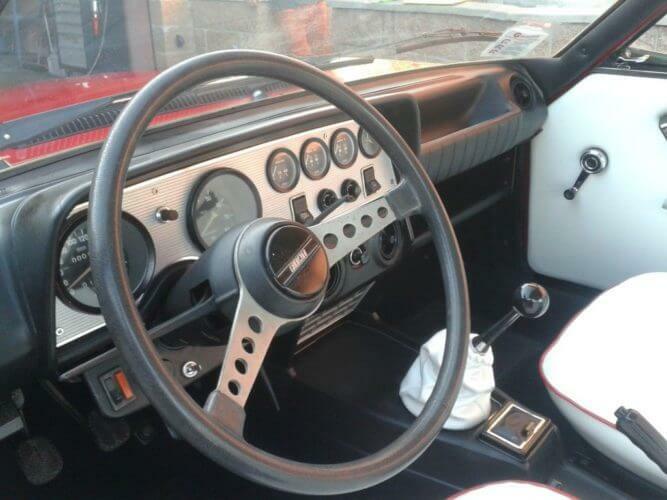 The dashboard and trim looks in very good condition. 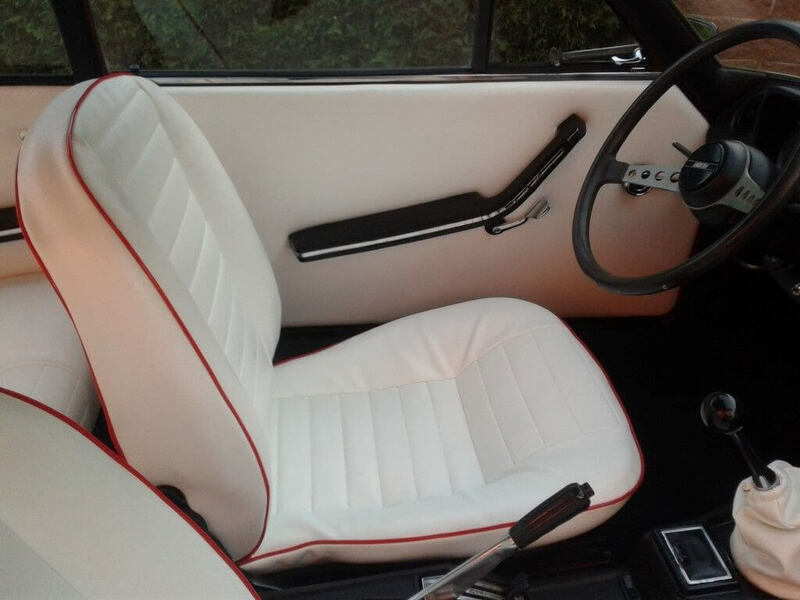 White seats will be hard to keep clean but they suit the cars colour scheme. 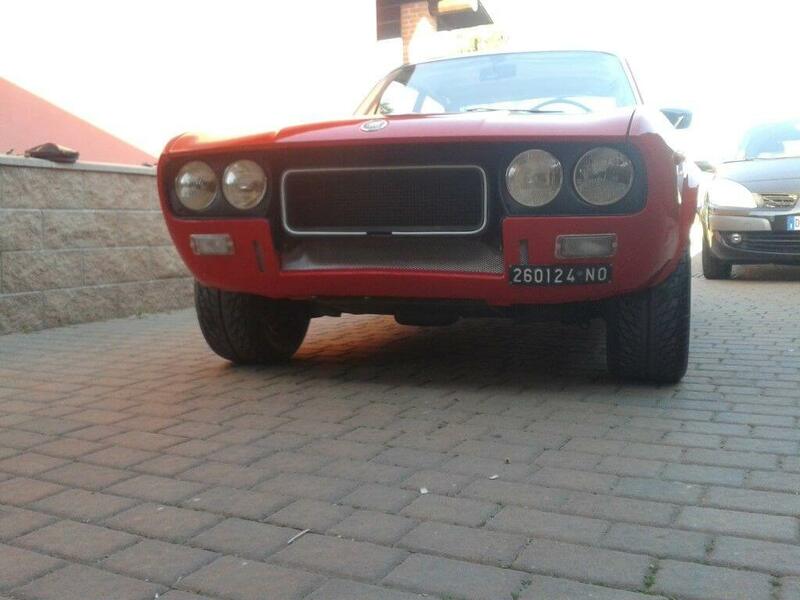 This Fiat 124 Sport Coupe looks really nice. The restoration has clearly been done to a high standard and a lot of detail has gone into this car. Its red paint is bright and those Abarth ATS wheels are pretty mean. You can tell this Fiat 124 means business! The larger tyres give it a slightly wider stance which is further enhanced by the removal of the bumpers, both front and rear. We like this look and think it suits the car. The engine bay looks nice and clean with lots of new parts evident. 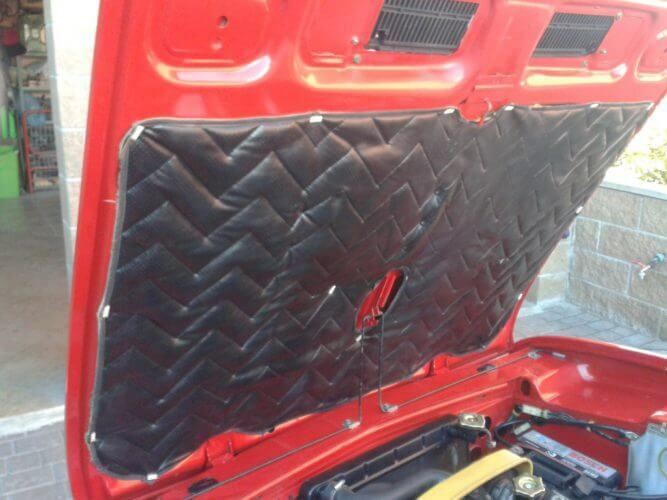 The quilted bonnet cover is a nice touch, giving the engine bay a more luxury feel. Moving to the interior, the white seats and red piping are a nice contrast to the red. The seller hasn’t said if they are new but they look very fresh so we assume they are. The dashboard looks good with no signs of cracking to the dash pad. There is a little bit of wear to the steering wheel metal spokes but this is very minor. It is clear a lot of time and effort has gone into this build. We love the Abarth wheels and the front end looks so much more aggressive with the bumper removed. The Fiat 124 Sport Coupe was fun to drive when new and we reckon this one will be a blast after its rebuild. With 120BHP on tap and those big Abarth wheels and suspension upgrades, this Fiat 124 Sport Coupe should handle really well. We think it’s definitely worth a trip to Italy to check out this rare Fiat. And sure while you are there you might as well drive it back. We’d recommend the scenic route. This Fiat 124 Sport Coupe is located in Verretto south of Milan, Italy and the current bid is is £6,800 with the reserve not met. The seller has recently lowered the reserve.